The Motability scheme allows disabled drivers to lease a brand new car in exchange for their mobility allowance, provided by the Government. At Sturgess, our specialist team have been assisting Motability customers for a number of years, helping people in the Leicestershire area to find a vehicle which perfectly matches their needs. Choosing your next car from a Sturgess dealership ensures that the process of selecting, ordering and taking delivery of a new car is stress-free. After all, buying a new car should be a pleasure, not a chore! Motability cars all include insurance, servicing and maintenance, RAC breakdown recovery, tyres and road tax at no extra cost. What's more, many adaptations are available at no extra cost and the 36 month lease means that you can exchange your car for a new model every three years. 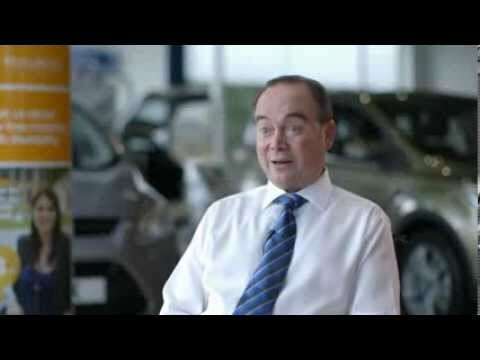 At Sturgess of Leicester, we are fully committed to fully supporting the Motability Scheme for customers across Leicestershire and the surrounding area. We have experienced Motability-trained specialists on site who are ready to assist you in answering your questions and help find you your perfect Motability car. With vehicles from Volvo, Hyundai, Fiat, Suzuki and Alfa Romeo all available under the scheme, there's bound to be an option which perfectly suits your needs. Once you've chosen your new car, we'll take care of the whole process, ordering the car and completing the paperwork for you. Our dealership is very accessible with a drop-off point close to the main entrance for added convenience. Alternatively, home visits are available if you would prefer - just speak to a member of the team. Newton Baker LLP and Walter E. Sturgess & Sons Ltd are Appointed Representatives of Automotive Compliance Ltd, which is authorised and regulated by the Financial Conduct Authority (FCA No 497010). Automotive Compliance Ltd’s permissions as a Principal Firm allows Sturgess Newton Baker LLP and Walter E. Sturgess & Sons Ltd to act as a credit broker, not as a lender, for the introduction to a limited number of finance providers and to act as an agent on behalf of the insurer for insurance distribution activities only.